The Sarawak Hospice Society (SHS) was registered in January 1998 with the aim to promote hospice service and hospice care with the Home Care Programme (HCP), which was first introduced by the Department of Radiotherapy, Oncology & Palliative Care (DRO) in 1994. It is available to terminally ill cancer patients in Sarawak. From December, 2017, the Sarawak Hospice Society has moved to its dedicated office at 1st Floor of Lot 2067, Block 10 Kuching Central Land District, Jalan Ahmad Zaidi Adruce, 93150 Kuching. It is easy to notice by the road side along Jalan Keretapi on your left when you pass the cross junction of Jalan Ahmad Zaidi Adruce (commonly known as Jalan Keretapi) and Jalan Green. The Sarawak Hospice Society is focused on providing a compassionate method of caring for terminally ill people. It is a medically directed, interdisciplinary team-managed program of services that focuses on patients and their families as the unit of care. “Our main aim is to improve the quality of life of cancer patients,” explained Dr Tang Tieng Swee who is the Chairman of the Sarawak Hospice Society (SHS). “Hospice treats the person, not the disease, hospice emphasizes on the quality, rather than the length of life. Hospice neither hastens nor postpones death. It affirms life and regards dying as a normal process. The hospice movement stresses on human values that go beyond the physical needs of the patient.” “In a nutshell, hospice care addresses the physical, emotional, psychological, and social and spiritual needs of the patients and their families,” summarized Dr. Beena Devi, the Head of Department of Radiotherapy and Oncology (DRO) at the Sarawak General Hospital (SGH). SGH is the only government hospital in the state that has chemotherapy and radiotherapy facilities. "Hospice" refers to a steadily growing concept of humane and compassionate care that can be implemented in a variety of settings - in patients' homes, hospitals or nursing homes. However, this ideology is very new here in Sarawak and only a handful of those not directly involved with terminally ill patients know of this concept. The term "hospice" (pronounced “hos'pis” and from the same linguistic root as "hospitality") can be traced back to early Western Civilization when it was used to describe a place of shelter and rest for weary or sick travelers on long journeys. The term was first applied to specialized medical care in 1967, at St Christopher's Hospice, London. Hospice responds to the unique needs of the terminally ill by providing physical and emotional care to dying persons and their families. The hospice philosophy seeks to allow a terminally ill person to be at home and close to family and friends while still under professional medical supervision. Hospice services are available to persons who can no longer benefit from curative treatment. Hospice care is palliative rather than reparatory, with an emphasis on pain and symptom control, so that a person may live the last days of life fully, with dignity and comfort, at home or in a home-like setting. Most hospice patients have cancer. Some suffer from AIDS, heart or lung diseases, and other fatal conditions. Whatever disease or condition the person may have, the role of hospice is the same - to provide professional medical care, to manage pain and other symptoms, and to meet the different needs of each patient and his or her family. Presently the Home Care Programme deals only with cancer patients in Sarawak. 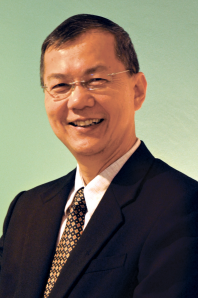 Dr Tang, the Chairman of the Sarawak Hospice Society and a medical physicist, disclosed that SHS had been working closely with the Department of Radiotherapy and Oncology (DRO) of SGH since January 1998 on a joint effort in running the HCP. Furthermore, SHS wishes that this cooperation would enhance the Palliative Care services of the Oncology Department in Kuching. The World Health Organization (WHO) defines palliative care as the active total care of patients whose disease is not responsive to curative treatment. Many aspects of palliative care are also applicable earlier in the course of the illness, in conjunction with anti-cancer treatment. WHO strongly recommends the early introduction of the palliative care concept into a patient's management plan whether it is curative or palliative. Radiotherapy, chemotherapy and surgery have a place in palliative care, provided that the symptomatic benefits of treatment clearly outweigh the disadvantages. Investigative procedures are kept to a minimum. In Asia, it remains controversial at which stage of the illness the palliative care concept should be introduced. To others even the proposal of palliative care seems offensive as death and dying are taboo in many societies. In many places the scenario passes with multiple conflicts, confusion and the feeling of intrusion. “There are certain families that do not want the HCP even though their ill loved ones fulfill the criteria for the relief care. Generally, these families feel uncomfortable with strangers going into their homes,” explained Dr. Beena. She added that the patients and their families have the choice to decide whether HCP is suitable for their situation. “However at times when it’s difficult to manage patients in the home environment, we provide what we call respite care, where we admit the patients into the Palliative Care Unit in the hospital,” according to Dr. Beena. She added that in this unit, families still care for their loved ones, but medical personnel play a greater part in handling the patients. Besides that, SHS lends the use of several items to aid in the care of the patients in the programme free of charge. The use of “Ripple Mattress”, an air mattress that helps prevent bed sores from developing on bed-ridden patients, the use of wheel-chairs and more importantly oxygen concentrators are loaned to patients who need oxygen during the last hours in their home environment, are among the many services provided under the programme. In addition to hospice service, the society is also involved in assisting the training of personnel for hospice work with the Medical Department in Sarawak. Working with the motto YOU MATTER, this effort is aimed to project the much needed hospice service to all parts of the state, addressing the very important issue of hospice service out-reach in Sarawak. “Last year alone SHS and the DRO conducted five training sessions for nurses so that they are more familiar with hospice work,” disclosed Dr Tang. According to him, out of the five sessions, four were conducted in Kuching. “We are also actively involved in public education in the field of hospice work as it is still relatively a new concept here,” disclosed Dr. Beena. As part of our aim to create public awareness, we have radio talks as well as public exhibitions. For the year 2009, more than two hundred cancer patients were under the HCP programme, which plays the role of an “external agency”, that provides technical support to the terminally ill. Nurses will go to the patients’ homes and assist the families in caring for their sick ones. At the same time, the medical staff will introduce methods and techniques of caring for the patients according to the families’ assessed needs. There are several ways to join the HCP programme. Presently, those already in the programme were either introduced to HCP by physicians, General Practitioners or from DRO. Patients or their families can request for the services. The Sarawak Hospice Society runs its activities on donations and contributions. The services of HCP are free of charge. Hence, there is a continuous need for more funds. Many individuals and organizations in Kuching assist us by raising funds thorough shows, food fairs or donations. Besides that, SHS welcomes donations and any interested Malaysian to join the society. As part of the ongoing endeavour by SHS to enhance services for the terminally ill, in 2009, we introduce massage as complementary to pain management. Patients whose pain has been reduced from severe/moderate pain will be referred by the Oncologist for specific massage which is provided by a trained masseuse. In 2010, SHS in collaboration with DRO has introduced Arts in Medicine programme for cancer patients. For this programme, our staff was trained by Mrs. Kala Pohl from Moffitt Cancer Center, USA. In addition, we have now started another programme for our patients called “Look Good, Feel Good” where our staff was trained by beauticians from Estee Lauder on simple make up techniques. The intent of this programme is to improve the facial appearance as cancer diagnosis and treatment does take a toll on them. This website is best viewed using Mozilla Firefox 3 or Microsoft Internet Explorer 7 or better with a screen resolution of 1024 X 768.